Molly Harris-Whitted - Valdez & Associates, Inc.Valdez & Associates, Inc.
Molly Harris-Whitted: Molly was born and raised in Santa Fe and graduated from Santa Fe High School. Growing up in Tesuque was a great adventure and remains a memorable experience today. 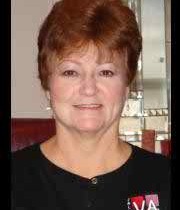 Retired from State Government, Molly has been a licensed Realtor for the past six years for Valdez & Associates. Molly’s Father was Floyd Harris, a master carpenter and native New Mexican, mother Mary Harris, worked for Safeway grocery store for twenty five years. Molly married Rob Whitted, a local Mechanical Contractor, for the past 35 years. She is the proud mother of Samantha, Becky, Vicky, and grandmother of six grandchildren, and two great-grandsons. No Featured Property Found Under Agent Molly Harris-Whitted.